Vintage products never get old. They always retain their charm and are guaranteed to make everyone happy. The Vintage Wax Seal Stamp by Yoption definitely fits into this description. It’ll make a great gift for anyone and everyone; be they a librarian, antiquities collector or a just a kid with an artistic vibe to them. The seal has a brass head with a 1 inch diameter and the total length of the Rosewood Handle is 3.5 inches. 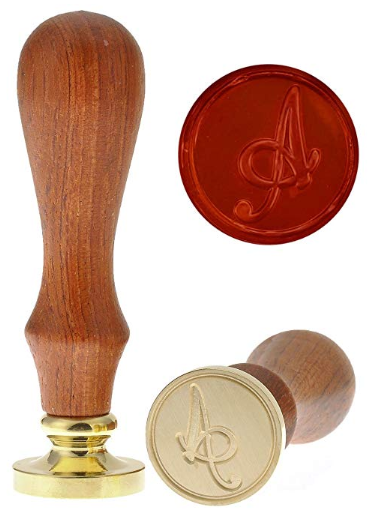 This particular wax seal will stamp the letter M and can be applied to glass, wood, card and plastic. It’s usually used to embellish. Its age-old vibe definitely makes it a product that’s worth the money.